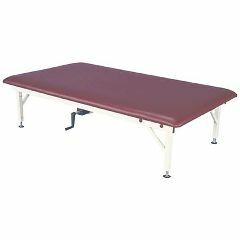 Armedica Crank Adjustable Mat Platform 60" X 84"
All you have to do is examine our welded, all steel frame mat platforms with their 900 lb. lifting capacity and you will be convinced of this! All of the steel frame mat platforms share these quality features.